The new Toyota Corolla SE adds exciting performance features to the already dependable Corolla. 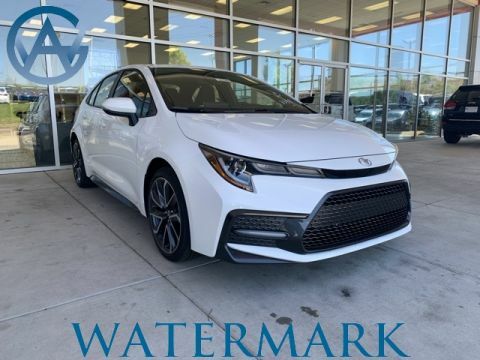 Whether you’re commuting to work in Bowling Green, picking up the kids from after-school activities, or heading out on long road trips from Madisonville, the Corolla SE can handle anything you throw at it. The SE adds sport seats, rear disc brakes, and a leather steering wheel. In addition, the new Corolla has earned top marks from critics, with Edmunds saying, “The Corolla’s interior has a fresh and stylish edge, an easy-to-use infotainment system, and loads of rear legroom compared with most compact sedans.” At Watermark Toyota, we’re proud to carry a wide selection of sporty Corolla SE models at affordable prices. Check out our selection today! 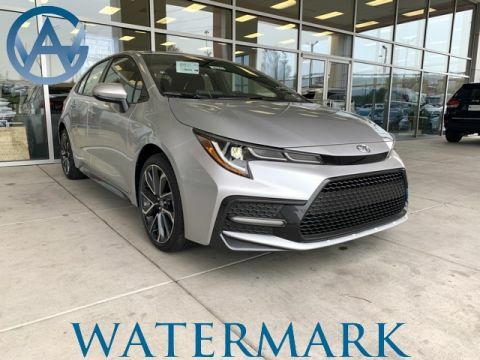 Why Buy a New Toyota Corolla SE from Watermark Toyota? If it’s time for an upgrade, you’ll want to turn to Watermark Toyota. Our exclusive Watermark Warranty adds additional protection on top of your existing Toyota warranty, giving you more peace of mind when you’re on the road in or around Madisonville. The experts in our financing department are happy to help you secure a low interest rate, and you can even apply for financing online and save yourself time at the dealership. Schedule a test drive to experience the new Corolla SE today!